The Tennis Club of Saint-Arnoult welcomes you all year long with 4 courts, included 2 indoor courts (1 Taraflex court, 1 clay court) and 2 outdoor courts, a club-house, a bar, and locker rooms. Teaching is provided by qualified teachers proposing tennis courses (for children and adults) throughout school holidays, intensive courses, individual courses and group courses for adults (from October to June). 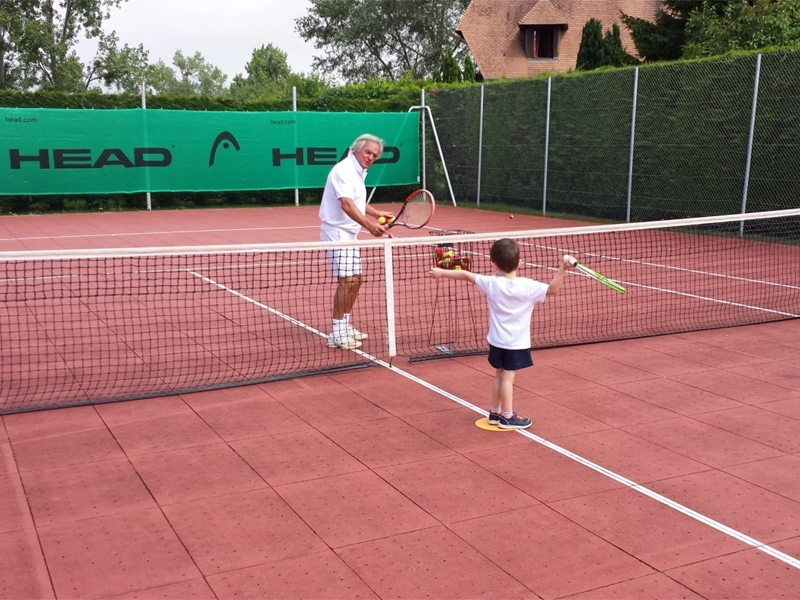 The tennis school, affiliated to the Fédération Française de Tennis, proposes for children from 3 and a half to 18 group courses on Wednesday, in the evening during the week and on Saturday afternoon.